Portrait of the émeraude City. A potrait of the émeraude City par Michael Christopther. 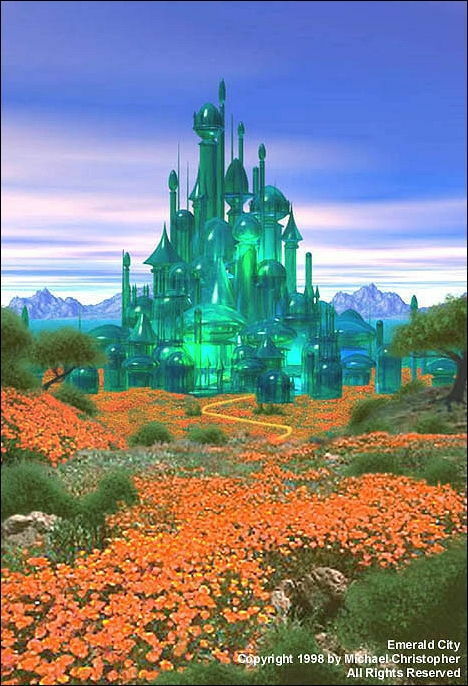 Wallpaper and background images in the Le Magicien d’Oz club tagged: the wizard of oz classic film portrait image emerald city. great pic Bernie! I love new interpretations of images from this story.